Chef Azmin Ghahreman joins the prep crew in the school program kitchen. 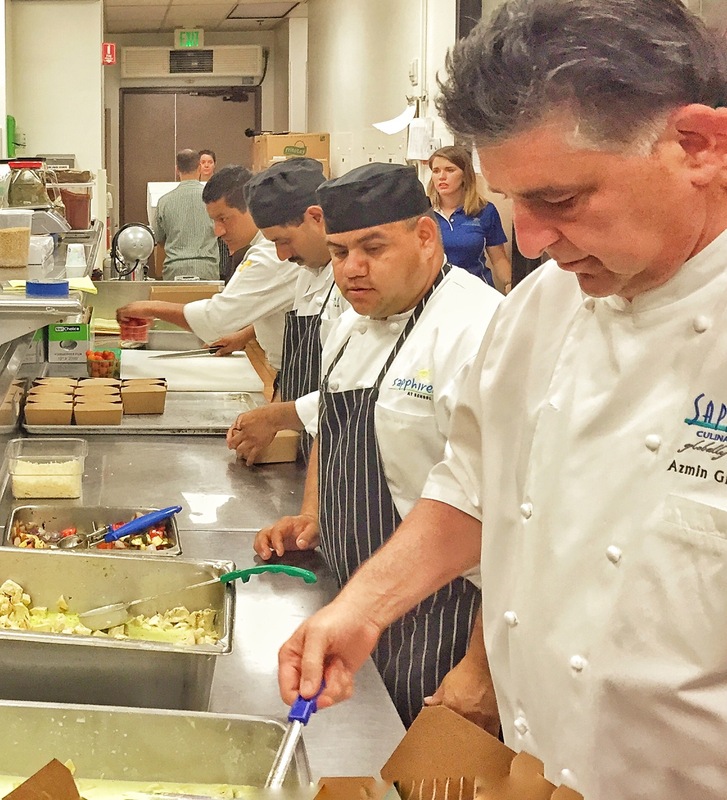 Sapphire restaurant owner and chef Azmin Ghahreman is expanding his company’s Sapphire at School subsidiary with the addition of four new campuses this fall. His team will be able to serve 8,000 students at 11 schools. New schools added include, Harbor Day in Corona del Mar, St. Catherine Of Siena Parish School in Laguna Beach, St. Edward The Confessor Parish School in Dana Point, and Santa Margarita Catholic High School in Rancho Santa Margarita. The team concocts dishes using fresh fruits, vegetables, and whole grains. “My goal is simple; I want to have these students eat the way I would want my own children to eat,” explained Ghahreman, a father of four who lives in Laguna Niguel. The Montage resort seeks community leaders ages 13-17 years old, who are making the world a better place, to submit applications to its Memory Makers Scholarship. Five $10,000 scholarships will be awarded to youngsters who have demonstrated on-going community service and have made a meaningful impact on their community and beyond. Additionally, they will receive a two-night stay at a Montage property, a mentor session with a guest judge and a feature in the spring 2016 issue of Montage Magazine. For info: visit: montagehotels.com/montage-memory-makers-scholarship. Entries are due Nov. 9; winners will be announced Jan. 4.